It was absolutely fascinating to have the opportunity recently to talk to Paul Symington, the chairman of Symington Family Estates in the Douro, Portugal. We discussed everything from the future of port and climate change to history and the Queen’s jubilee celebrations. What struck me was Paul’s emphasis on family values. Symington has over 350 years of history in Portugal and Paul is the 13th generation. He runs the company together with his two cousins Johnny and Rupert. When he was informed that he had been voted Decanter's Man of the Year 2012, he told Decanter he would only accept the award if he could mention and extend the honour to the family. He may be the face of the company, but it is the joint effort of all family members that makes Symington what it is today. Paul firmly believes in the synergy between wine and family. Wine is long term and fits well with the time horizons of a family, especially for port and other premium wines that can evolve for half a century. He is proud to be selling today wine that his father put in barrels some 20 years ago. Big corporations, notably the public ones, often focus on the short term with today’s profit outweighing long term investment and heritage. To preserve and promote the moral values that are the backbone of family businesses, Symington joined with eleven other top international family estates to establish Primum Familiae Vini (PFV), the First Families of Wine, in 1993. PFV membership is by invitation only and is limited to a maximum of 12 families. Being a family estate with long traditions does not mean lack of vision. Paul knows that the future of port lies with the premium sector—tawnies and vintages where Symington has a 34% market share—and the new consumers in the UK, US and Asia, and that the traditional image of cigars, port, gentlemen's clubs and copa (small port glasses) does not fit the lifestyle of today’s customers. To modernise port’s image, the three port houses under Symington—Dow’s, Graham’s and Warre’s—partnered with Croft, Fonseca and Taylor’s (The Fladgate Partnership) to establish the Vintage Port Academy. Its purpose is to promote the appreciation and knowledge of vintage port among fine wine consumers, collectors and wine professionals around the world. Some outside-the-box appeal includes pairing hairy crab and Peking duck, both Chinese delicacies, with tawny ports. To reinforce tradition and evolution, Symington launched Graham’s 1952 Tawny Port to celebrate the Queen’s 60th anniversary jubilee. The wine was served to overseas dignitaries at Windsor House. Paul’s ideal port scene is Brad Pitt and Angelina Jolie sitting in front of a big flat screen television in their posh Manhattan apartment, enjoying port from a Riedel wine glass! The Douro is home for the Symingtons. Paul grew up there in the vineyards with his brothers and cousins, and joining the family business was a natural thing for him. Today, Symington is the biggest landowner in the Douro with over 974ha under vines. Each family member also has his own private vineyard. 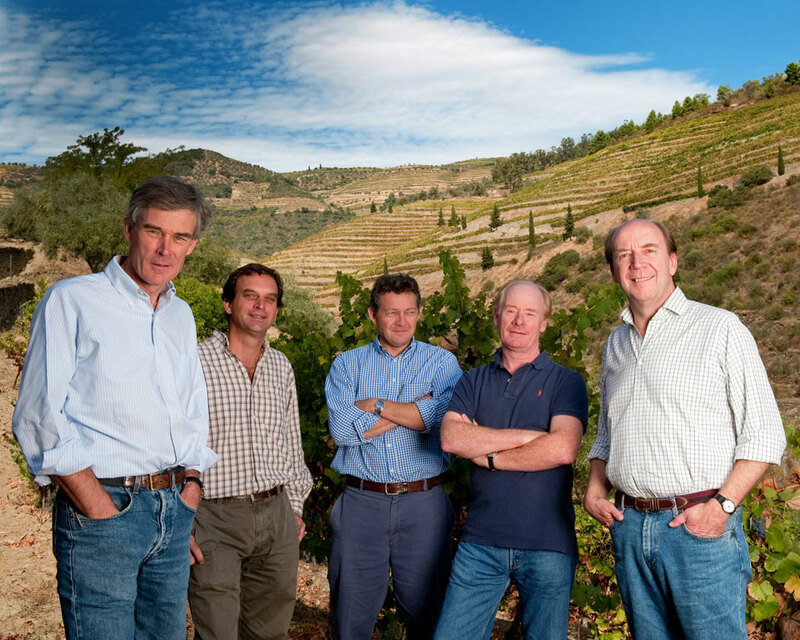 Sales of Port may be declining but the Symington family believes in the Douro’s terroir. Rather than investing overseas like other families such as Mouton or Mondavi, Symington only focuses on the Douro, expanding its portfolio into Douro AOC still wines. In 2010 it bought Cockburn’s Port from US company Beam Global Spirits & Wine in order to rebuild this 200 year old brand. Climate change, however, is a challenge as the average temperature has increased1.3ºC in the last 50 years. New planted vineyards are at higher altitudes and mostly north-facing. Luckily Touriga Nacional, the flagship grape of the Douro, is heat resistant and its sugar level does not increase as fast as in other varieties in the soaring temperatures. Of course there are cases of family disputes leading to the collapse of great family empires such as Gucci. Paul understands the importance of keeping the family unified. All Symingtons start by doing basic work on the estates, then gain experience outside the Douro before joining the company. He is not worried about not having enough successors. There are enough daughters and sons—14—in the next generation, but it is up to them whether they want to join the family business. If you have a chance to visit the estates, keep an eye out for the young lads cleaning the table or serving you port, they may well be the next Symington Chairman, or the next Decanter Man/Woman of the Year. A few weeks ago, I was asked, as a winemaker, to comment on these questions: How important or otherwise it is to have the ‘right’ glass for a specific grape variety? Are expensive wine glasses worth the money? Is there a simple, standard glass which we could use at home? Is glassware a subject which interests winemakers? Not only does the booming wine market in Hong Kong bring in more wine from different parts of the world, it also attracts glass producers from left right and centre. Riedel and Baccarat have been in the market for a long time and now we also have newcomers Lucaris from Thailand and Plumm from Australia. Do we really need to have ten different shapes of wine glass at home to enjoy our collection from Chardonnay to Cabernet? While we can drink wine from any vessel, a suitable one should be odourless so you can smell the aroma, colourless so you can access the colour and age, clean with no residues of detergent otherwise legs or tears will be created along the side of the glass. It should not be too thick as that might distort the clarity. Thin-edged glass also helps create a finer stream of wine that runs across our tongue. A stem would be nice for holding the glass so you don’t warm up the wine unintentionally. The ideal shape is a tulip—a rounded bowl to aid swirling without spilling and releasing aromas, and an inward-sloping wall to trap the aromas. Any glass that fits these criteria will do. In fact, you can see that most wine glasses in the market share these features. It is true that the same wine may smell different in different glasses because of the order in which the aromas emerge, but this is only on the initial impression. Some suppliers insist that different shapes direct the wine to the optimum position on our tongue where we can taste the most of the wine. I think these claims are exaggerated as our tongue only has four senses: sweetness, saltiness, sourness and bitterness. When we sip a wine, we let it flow around in our mouth. We think we can taste more because the aromas rise to the back of our nose to the receptor that handles the sense of smell. Our brain then interprets the smell in conjunction with the taste and touch impression from the mouth, leading us to believe we can taste citrus, strawberries, spices, and so on. I have attended several glassware tastings and to be honest, I find the differences insignificant. To quote Michael Schuster, an expert wine taster and author, 'I don’t believe (the glass) affects the way we perceive a wine’s most important attributes after the initial attack. ie. texture, aromatic interest, length across the palate and the qualities and persistence of the finish. My wife Monika and I use Riedel stemware because it is the most beautiful range available to the wine-lover, but the limited selection we have is chosen on the basis of shapes and sizes we like, rather than on what we are likely to drink.' I believe this sums things up nicely. To get the most out of a wine, it should be poured to more or less the widest part of the glass so the most aroma can be released and trapped for us to smell. Pour too full and there will be no space to trap the aroma. One thing I would like to address is the habit some people have of swirling their wine. The bigger the glass, the more violently they swirl. This is a big mistake as all the delicate aromas will be gone after 30 seconds of vigorous swirling. Smell the wine first and only swirl a little if it is ‘closed’. The most delicate aromas can only be detected on the first sniff and without swirling. Unfortunately, too many people swirl the wine before even the first sniff. Try it yourself: take two glasses of wine; swirl one vigorously like those ‘professionals’ for 2-3 minutes; then compare its aromas with one that has not been swirled. About 10 years ago, the standard professional tasting glass was the ISO glass. It has the ideal shape and it is small enough for a tasting portion. All wineries I visited at that time, from Stellenbosch and Barossa to Mendoza and Napa used ISO glasses. Today, they are using bigger glasses thanks to the marketing efforts of the manufacturers. But they still only use one shape for all their wines. Most critics agree that Riedel’s Chianti glass (or similar shape from other brands) is the best all purpose glass. It is important that if you are comparing and contrasting wines and varieties you should serve them all in the same shape of glass so that no wine has any apparent advantage or disadvantage—just as in a professional wine judging. So to answer the question: no, it is not essential to stock a whole range of expensive wine glasses. Nevertheless, wine is for enjoyment, and the shape and elegance of the glass can enhance the aesthetic experience. It is like having a nice meal with the best chinaware and silver cutlery. The plates and forks do not make the food taste better but they make for a positive impression. But be careful when handling your glasses: I once broke three Riedel glasses in a row after dinner and it hurt! I have great confidence in Saperavi, the mostly planted red grape variety in Georgia, in leading Georgian wine to the international market. A dark-skinned variety, Saperavi has pink flesh that gives a deep colour to the wine. Its high tannin and acidity provide the backbone for a wine with long ageing capability. It has black fruits and spicy characters rather like a combination of Cabernet Sauvignon and Syrah. With age, it develops a tertiary bouquet of chocolate, walnut and dried fruits. It is versatile and can be made in different styles: concentrated and tannic using the traditional kvevri method; easy drinking and fruity wine using stainless steel fermentation and minimum tannin extraction; or more elegant and structured wine combining the kvevri method and ageing in oak barrels. It can be dry as in Saperavi or Mukuzani, or semi sweet as in Kindzmarauli. The Saperavi grape is capable of producing high alcohol wine but thanks to the continental climate in Georgia, most wine has a moderate alcohol level of 12.5-13.5%. Although it can sometimes be as high as 14.5%, it is always balanced by the high acidity. With careful branding and positioning, it could well be the equivalent of the Malbec of Argentina or Touriga Nacional of Portugal. As my previous article pointed out, I think having a flagship wine is a good national strategy as it provides a clear way of differentiating the country concerned from other producing countries and allows for a focused campaign. 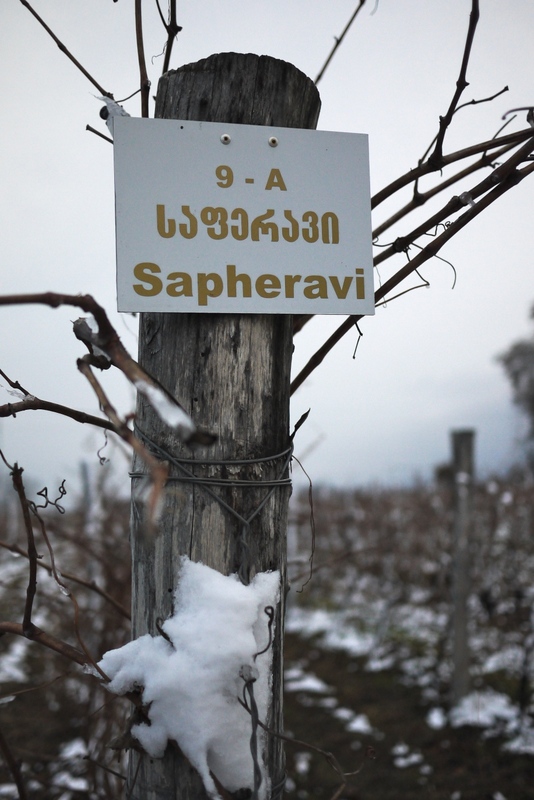 Its quality and relatively easy-to-pronounce name plus Asians’ preference for red wine make Saperavi the logical candidate to be the leader among Georgia’s myriad indigenous grapes in this part of the world. And the candidate for the whites? It has to be Rkatsiteli, by far the most widely planted grape variety with over 50% of total vineyard area. The wine has high acidity and versatility: from refreshing 100% Rkatsiteli, and Tsinandali (a blend of Rkatsiteli and Msvane), to kvevri style, dessert wine and fortified. Wine lovers should watch out for the emergence of these exciting wines from Georgia—the country with the world’s longest winemaking history.